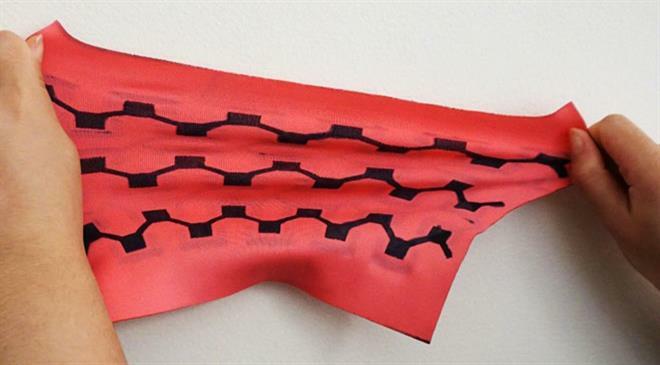 A team of researchers from the State University of New York (SUNY), popularly called the Binghamton University, have developed a flexible and stretchable bio-battery powered by bacteria from fabric. The bio-battery has the potential to reform the future of wearable electronics and smart textiles. Lead researcher Prof Seokheun (Sean) Choi from the university's department of electrical & computer engineering talks to Fibre2Fashion about the need for flexible batteries and explains the potential of textile-based, bacteria-powered bio-battery. 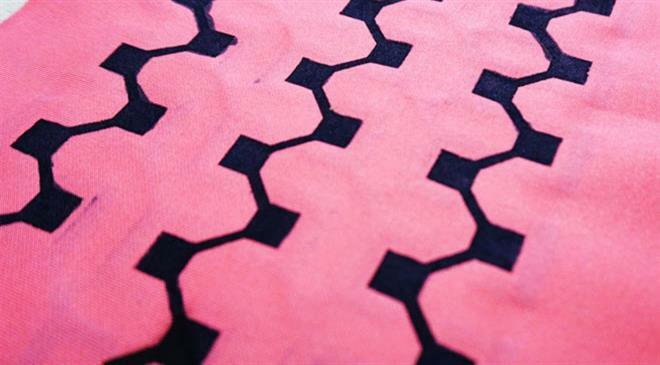 TT: What sparked the idea to create this textile-based, bacteria-powered battery? Textile-based wearable electronics have recently emerged as a technology that promises next-generation, ubiquitous health monitoring. However, there has been a significant challenge in creating a truly self-reliant and standalone wearable sensing system that does not rely on an external power source. Traditional battery-operated wearable devices cannot realise long-term advanced functionality because of finite energy budgets available from existing batteries. Furthermore, the batteries are too bulky, rigid and heavy to be integrated in thin, light-weight and flexible fabric-based devices. Even the latest advances in flexible energy storage devices, such as supercapacitor and lithium ion batteries, have not been considered as a sole potential platform for self-sustaining, practical use because of their low energy capacity and frequent recharging requirements. Microbial fuel cells (MFCs) used in this work are arguably the most underdeveloped for wearable electronic applications because microbial cytotoxicity may pose health concerns. Reported work on wearable MFCs was either unavailable or quite limited. However, if we consider that humans possess more than 3.8×1013 bacterial cells compared with 3.0×1013 human cells in their bodies, the direct use of bacterial cells as a power resource interdependently with the human body is conceivable for wearable electronics. TT: You have already tested this on paper. How will it be more relevant on fabric? Because of its light-weight, low-cost, disposable and flexible features, a paper MFC can be potentially integrated into ubiquitous newspapers, wrapping papers, wallpapers and other objects. However, extremely harsh operating conditions, for example, those that require bending, twisting, folding and stretching, demand development of a fully flexible and stretchable MFC. Textiles are attractive materials for flexible devices and offer superior elastomeric properties towards achieving conformal contact with non-planar, unsymmetrical surroundings. 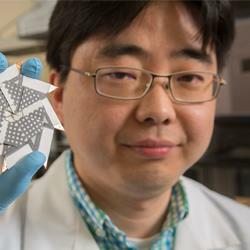 Low-cost and scalable fabrication based on well-established traditional textile manufacturing techniques can also be used, and other manufacturing techniques can add other functions. Furthermore, textiles are light-weight, inexpensive and disposable. More specifically, textiles can be ideal supports for substrates and promise functional components for the development of flexible and stretchable MFCs. TT: How do MFCs work? Most microorganisms use respiration to convert biochemical energy stored in organic matter into biological energy, adenosine triphosphate (ATP), where this process involves a cascade of reactions through a system of electron-carrier biomolecules in which electrons are transferred to the terminal electron acceptor. Most forms of respiration use a soluble compound as an electron acceptor, such as oxygen, nitrate and sulfate; however, some microorganisms are able to respire solid electron acceptors to obtain biological energy. These microorganisms can transfer electrons produced via metabolism across the cell membrane to an external electrode. MFCs typically comprise anodic and cathodic chambers separated by a proton exchange membrane (PEM) so that only H+ or other cations can pass from the anode to the cathode. A conductive load connects the two electrodes to complete the external circuit. TT: What is the amount of power that can be generated using your innovation? The device generated a maximum power of 6.4µW/cm2 and current density of 52µA/cm2, which are similar to other flexible paper-based MFCs.